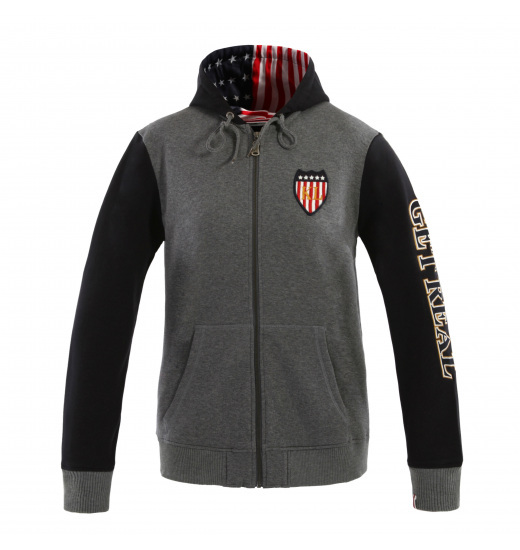 Zippered unisex sweat jacket, both for women and men. 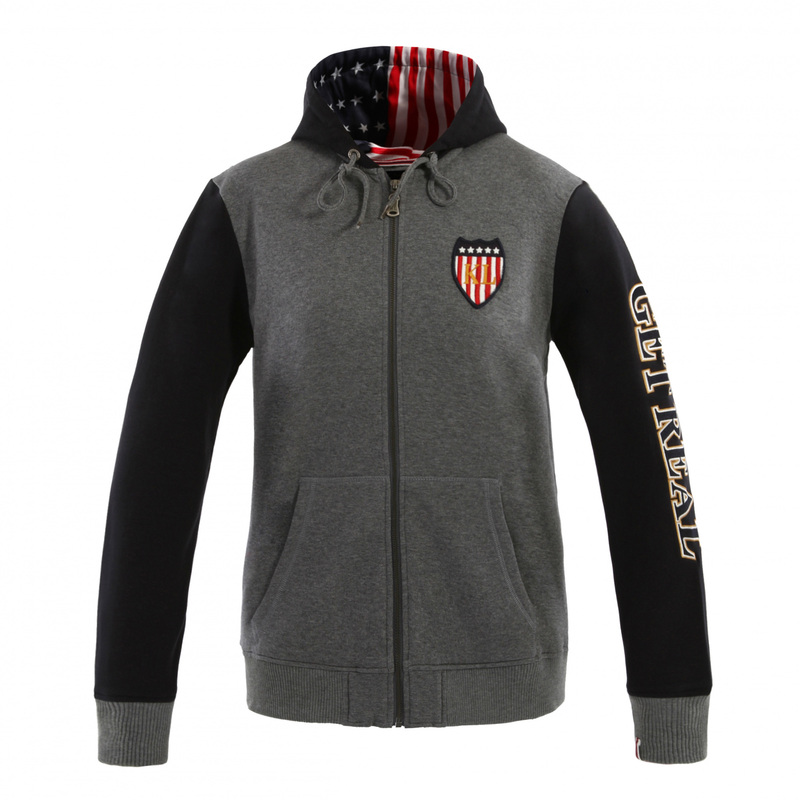 It has a spectacular lining in the hood with the theme of the American flag and red and white stripes on the back. 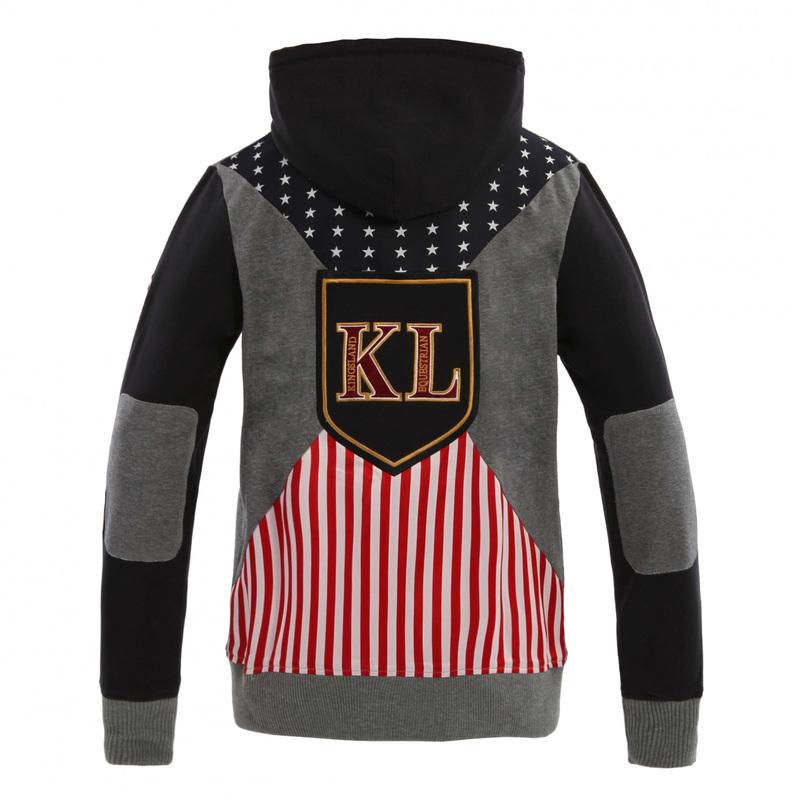 The whole effect is complemented with KINGSLAND embroidery on the back and on left chest.